3/4 day breaks from £100. 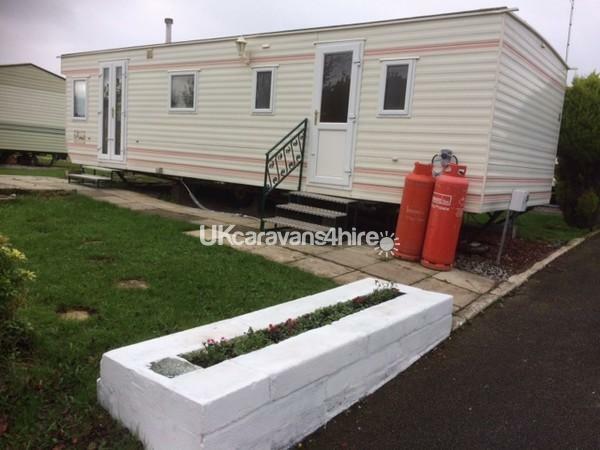 Our caravan is a two Bed five berth Brentmere Sereno sited on the popular Newton Hall holiday park in Staining near Blackpool, a fantastic holiday park for all the family to enjoy and something for everyone. Pricing starting at £100 for a 3/4 night break. 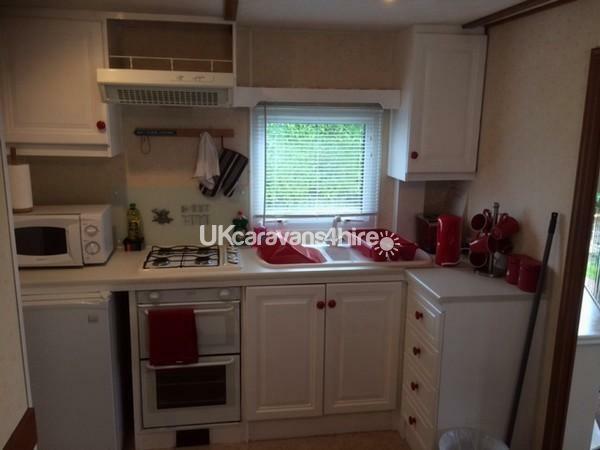 The caravan is very clean and tidy with two bedrooms, one double and two single beds. Also a pull out single bed in the lounge. 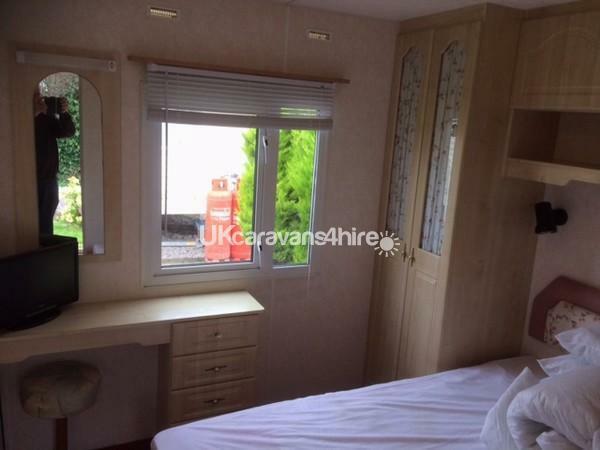 There is a 38"; TV and DVD player with a selection of DVDs in the lounge and a TV in the master bedroom. There is an electric fire in the lounge and a small heater in each bedroom. 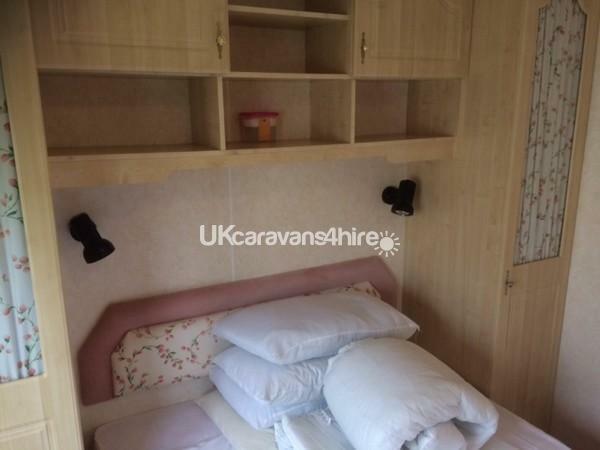 The caravan is fully equipped with cooker, 'fridge, kettle, microwave, toaster, crockery and cutlery etc. Tea towels, washing up liquid etc. are also provided. There is also an iron, ironing board, vacuum cleaner and hair dryer. Outside the caravan door is a small private patio area and we have a table a four chairs that can be used there. We also have a barbecue for guest's use. Free wifi is available and parking is directly outside the caravan. It is a home from home and we stay ourselves as much as we can. Newton Hall is situated approximately 2 miles from the picture postcard market town of Poulton-le-Fylde and approx 2.5 miles from Blackpool town centre. The park is open from the 1st. March right through until the 15th. of December every year. Newton Hall Country Club entertainment complex. Please note that live adult entertainment in the main club is on Friday/Saturday/Sunday throughout the season. The Stanley Bar is open 7 days a week throughout the season. Family room with entertainment. Please note that there is entertainment in the family room 7 days a week in high season and Friday and Saturday nights in low season. The family room offers entertainment for the whole family. Our prestigious world class Bowling Centre hosts some of the worlds most famous competitions.